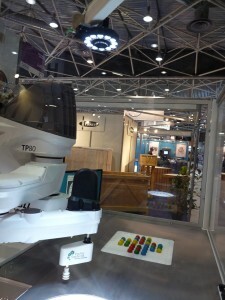 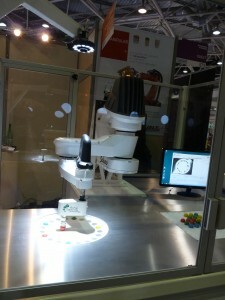 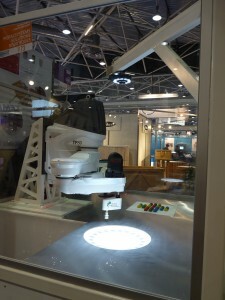 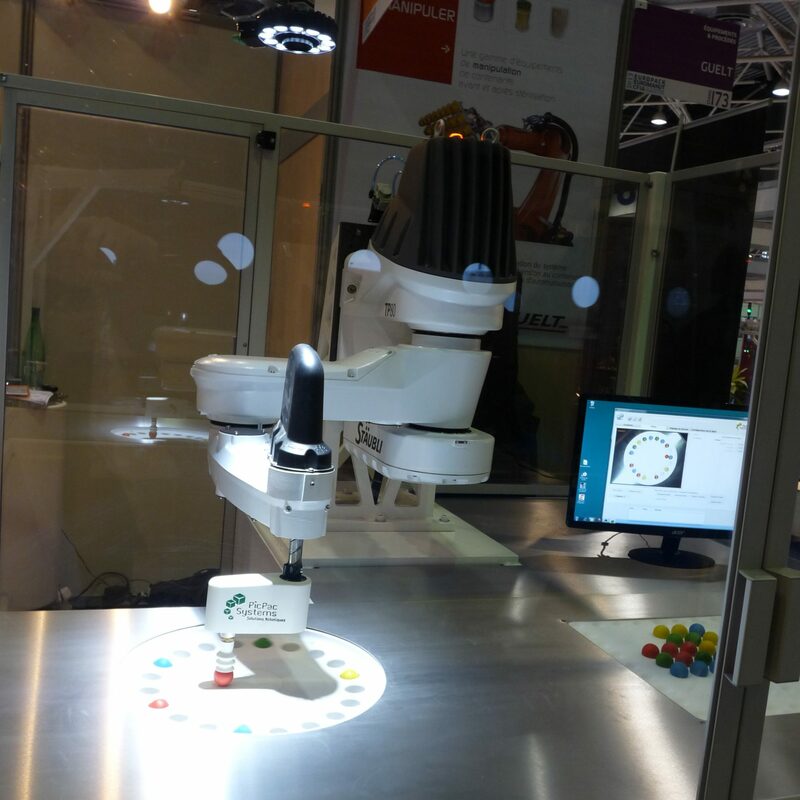 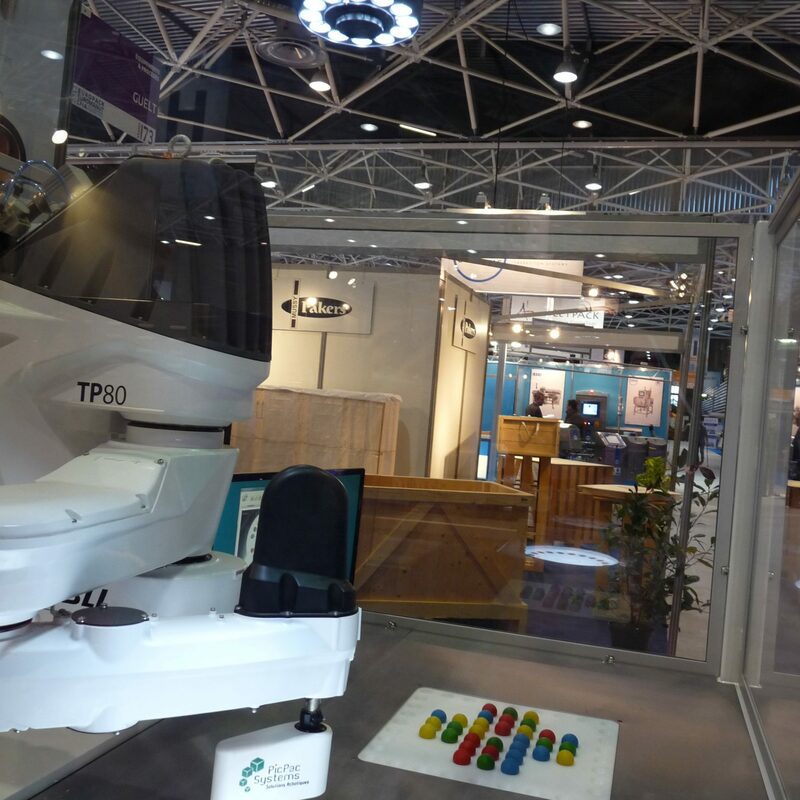 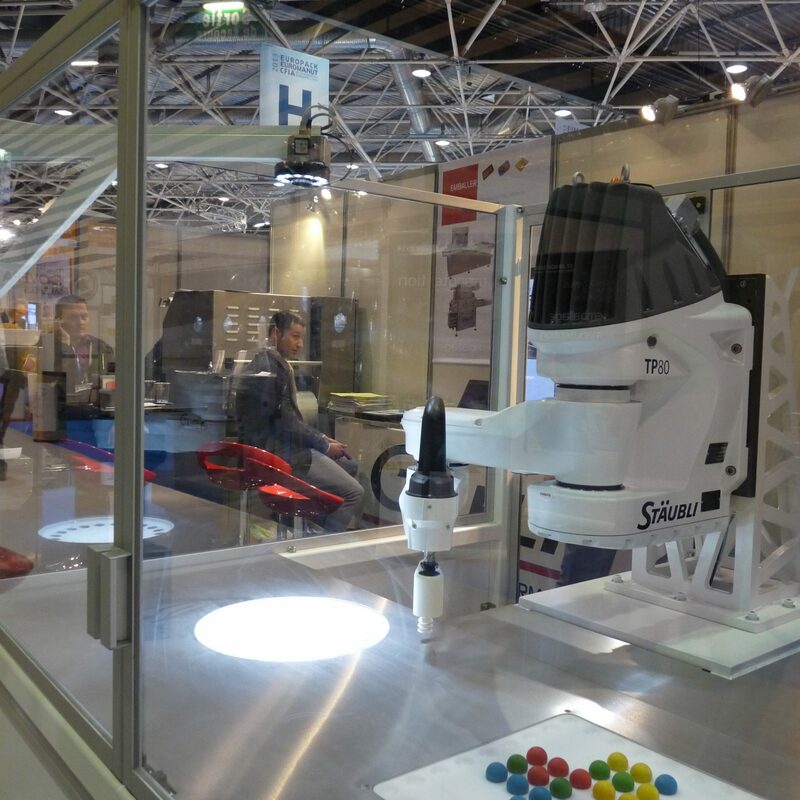 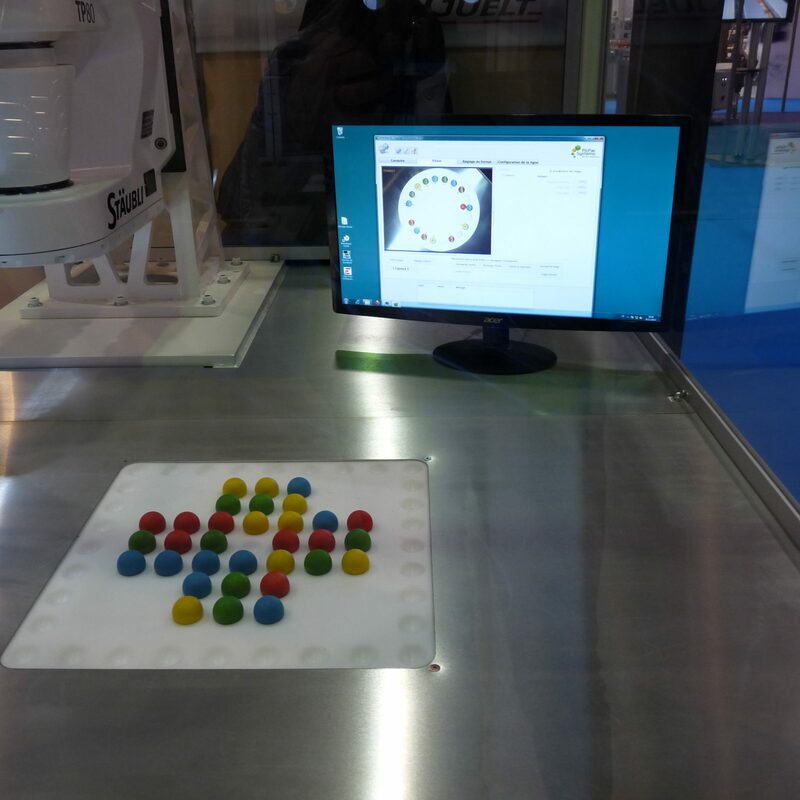 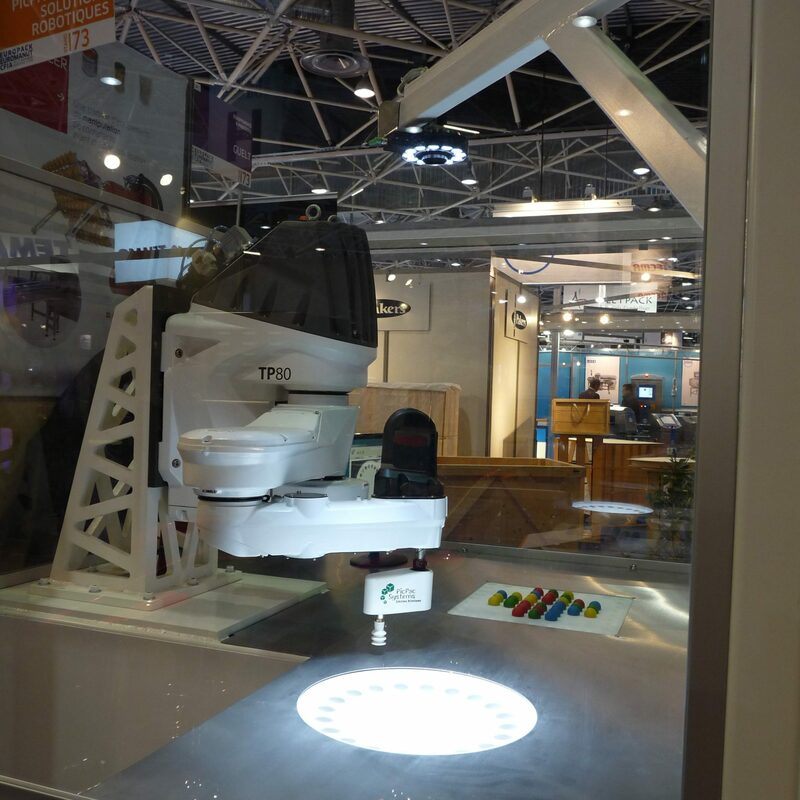 Pic Pac Systems exhibited last week on the CFIA-Europack (French show of food-industry and packaging) and presented an application of a robot selecting and mooving colored balls. 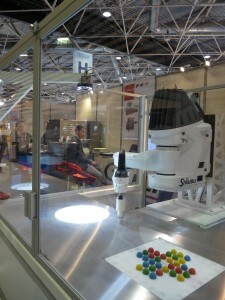 Thanks to a camera equipped with a TPL Vision High Power HP Ring (led lighting), the software can determine the position of the ball, so the robot (from STÄUBLI) can pick any of them to re-position it. 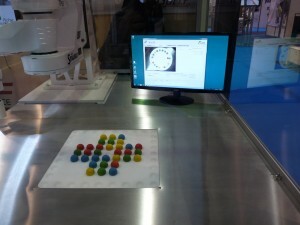 The demo has been made with a solitaire game shape to show the mechanical precision.